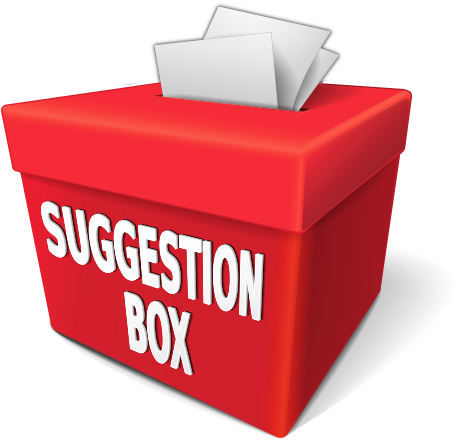 The Suggestion Box form below is emailed to the Resident Council's Suggestion Box Chair. Click HERE for the procedure that the Suggestion Box Chair will follow in response to the submitted suggestion. For 2018-2019, the Suggestion Box Chair is Dean Koulouris. Contact him at ext. 7483 or by email at constantinekoulouris@gmail.com if you have questions about the procedure or where your suggestion is in the process.